England were humiliated by minnows Iceland, 2-1—an absolutely incredible display from the Icelandic camp—also in a night where Roy Hodgson confirmed his resignation. Both sides came into this game knowing a victory sets up a meeting with hosts France in the quarter-finals. England were on top in the opening proceedings, and were off to a flying start after Sterling was felled by Haldorsson and a penalty was awarded. Rooney tucked the subsequent penalty away, on his 115th cap for the country which equals David Beckham'a number of international caps. Just two minutes later, England were to be pegged back—they never make it straightforward and routine!—a deadly long throw from Gunnarsson, flicked on by Arnasson and centre-bank Sigurdsson levelled from close range. Smalling failed to get any real connection on his header after a brilliant delivery into the box to a series of cheers from the Iceland supporters. They were absolutely raucous. Who knew what they would be like if Iceland scored a second? And with their second shot of the game, Iceland added a magnificent second. England, despite dominating the game up to this point, found themselves behind. Joe Hart wouldn't want to see this goal again...it all started from—you guessed it—a long throw from Gunnarsson. The ball came to Sigthorsson, who found himself on the edge of the box. Moving to the side, he curled a shot which should have been relatively comfortable for a goalkeeper of Joe Hart's quality, but it went through the England shot-stopper's grasp and in. Unbelievable! The Three Lions had all the possession were very crude with it. England finally connected some good play together when Kane found Sturridge free on the right, who cut onto his preferred left and returned the ball back to Kane but the Iceland keeper was equal to the No.9's first-time volley. Kane's free-kick was drilled into the area but it proved too powerful for Chris Smalling who could not direct his header on target from close range. England didn't have belief in their ability in the first half, they were just panicking. We saw the excellent game-management with the Italians against Spain earlier, to know what to do and when to do it. England weren't confident at all. They needed to keep the ball and get a prolonged spell of possession under their belt. In the dressing room at half time, Hodgson didn't need to shout, but to encourage. Overall, England just needed more composure on the ball and quality. They obviously realised this when Jack Wilshere replaced the more defensive-orientated Eric Dier at the interval. Despite the substitution, England were just as poor as they were when they left off. Sloppy in possession and too reckless on the ball. Sigurdsson attempted an audacious overhead kick inside the England six-yard box and connected well with it, but it was straight at a fortunate Hart. Jamie Vardy replaced Raheem Sterling on the hour-mark, and ten minutes later the Premier League winner was showing signs of vintage Vardy. Alli knitted a nice ball through to the Leicester No.9 and he used his blistering pace to get ahead of the defender but Sigurdsson recovered and made an excellent tackle to put the ball out for the throw-in. Gudmonsson drove forward for Iceland after some neat play down the left, curling the ball just over the bar. Then long-throw specialist Gunnarsson was left one-on-one with Wilshere after a quick Iceland counter, twisting and turning before cannoning a shot at Joe Hart who parried it out for a corner. Wayne Rooney was playing absolutely dreadful, and Roy Hodgson showed his disgust by subbing Rooney off for his Manchester United teammate Marcus Rashford for the final throw of the dice. Rashford showed some glimpses of magic after deftly twisting and turning past Icelandic defenders and getting into the box, but his attempted pass was put out for a corner. The resulting corner, quickly taken by Rashford, was an awful one and cleared for an Iceland goal-kick. England fans were already on the edge of their seats and biting their nails with the nervousness of it all, and their side went so, so close in the last seconds of the game after Sturridge's floated ball was brilliantly cleared by Arnasson for a corner. The corner came in, over Hart, and Alli was left to rue as his header went well wide of the post. And the final whistle resonated, despair for England, and jubilation for Iceland! Head in hands, the English players fell to the ground in defeat. The Iceland players, rushed over to their amazing fans, and did the traditional haka-like clap celebration. Iceland certainly deserved it. A magnificent display, England were completely braindead during the game and had no real composure to their play. Roy Hodgson, five minutes after the game, read out a pre-written statement, confirming his resignation. 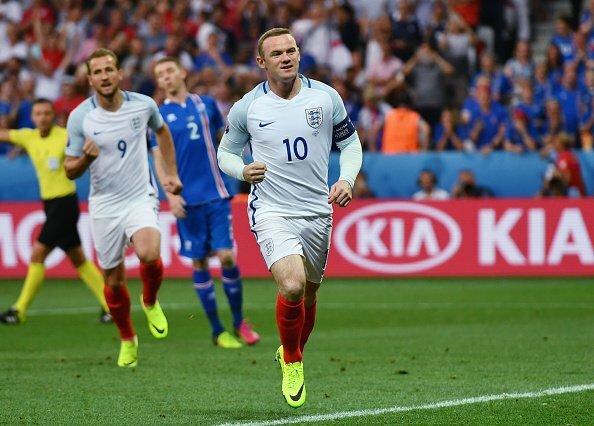 England are in a state of flux, while Iceland play France in the quarters on Sunday. This is why we love football!